On June 8, I posted the story below on my private Facebook wall. I was so surprised by the number of responses I got and the way it spoke to so many people. I guess I haven’t shared about this very much outside of my close circle. I’m sharing it now in case it speaks to you, too. We all have heartache and grief and have felt shattered, every single one of us, whether we share it or not. Knowing someone else’s can encourage us and leave us feeling more connected. Plus, this isn’t just a story of what happened to me then, but of what’s happened since then. I’m also sharing it with you so that you know me a bit better. I don’t come to my work from a “head” space, but from my own experiences of being shattered open, and this was my biggest one. 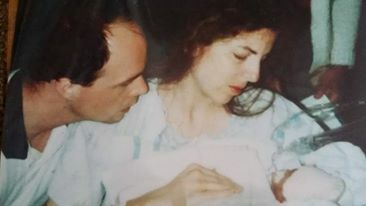 Yesterday was the 19th anniversary of my second daughter’s birth. Today is the anniversary of her death. When she died, I felt my heart break. I grieved deeply for the child I’d never see grow up, and for the hole I felt she’d left. After a lot of deep energy work, I went for quite a while feeling done with my grief. Not “over it”, but over the intensity of it. I felt healed. Life and I were moving on. A year or two ago, I went through a time of really deep grieving again. For months, deeper and deeper levels emerged. Of course, I was grieving a lot of things around Margaret Alice’s death, and so much more as well. Sometimes grieving for her was a doorway to grieve other things, too, and to connecting with the purest, rawest emotions that sometimes had no name. Today, instead of grief, I feel profound gratitude. Gratitude for the whole experience of her life. Gratitude for the course my healing set me on, and the work I do now as a result of it. Gratitude for the love and support that’s surrounded me through all of this. Gratitude for the amazing daughters I get to see and hug, and for how opening my heart to my grief has opened it to deeper love as well. I’m grateful for this experience because when I look into the eyes of someone who’s in deep pain, I can go there with them. I know this terrain, and I don’t shy away from it. I know its anguish and I know its gifts. And I know in my bones that even the worst of experiences can bring us more into our own power, if we understand how to navigate it. Margaret Alice taught me how to say goodbye and let go. To trust that even in partings there is growth and beauty. To open my heart when my head wants to shut it down and to not feel the intensity. I would not have deliberately chosen this experience – then or now. It was devastatingly hard at times. And I embrace it, because it’s the truth. And because in accepting it, I stop struggling, and I accept its gifts as well. Tweet: You are bigger than your emotions. Bigger than your thoughts. Bigger than your past. If this resonates for you, if you’re experiencing your own grief or your own nameless deep emotions or feel shattered in some way, know that you’re not alone. You are not alone, nor have you ever been, even when it’s truly felt like you were. Keep breathing. Reach out to someone. I’ll put a few resources at the bottom of this. Remember that you are bigger than your emotions. Bigger than your thoughts. Bigger than your past. You are much, much more than all of this. Here are free resources for support with grief and feeling shattered. I don’t have personal experience with them, so as always, follow your inner guidance and trust yourself about what feels right for you. 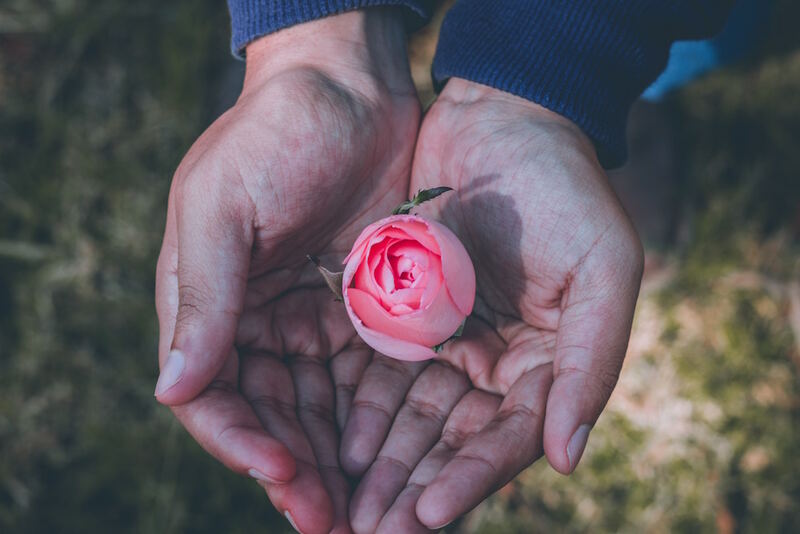 If you’d like to find out more about working with me around grief and embracing your power, click here to set up a free call.